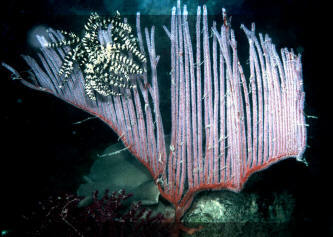 Diodogorgia nodulifera, Colorful Sea Rod. Occurs as branched and rod forms. 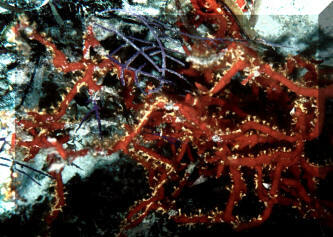 Polyps in cone-shaped calyces on red to orange rinds/stalks. 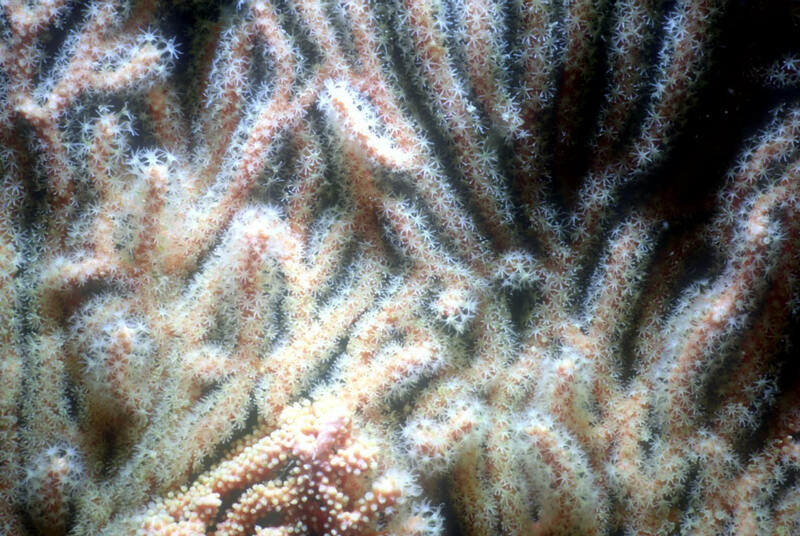 Polyps white. Bahamas pic. 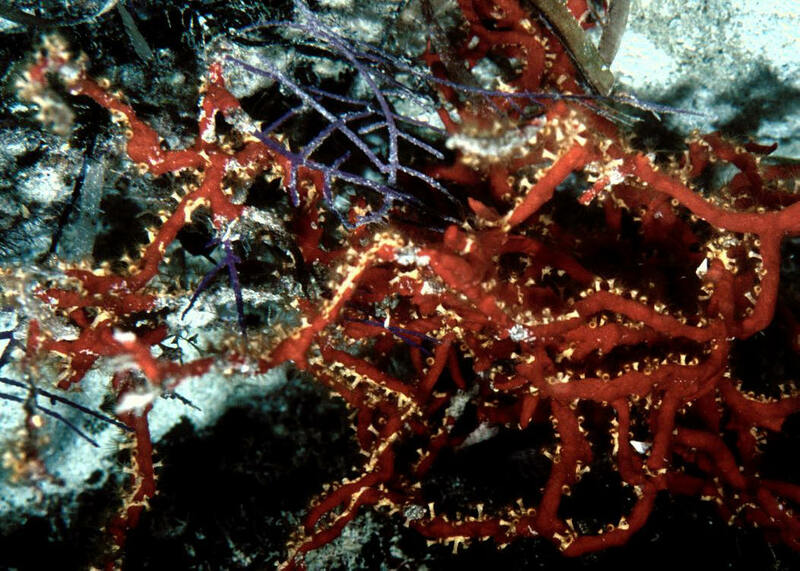 Isis hippuris Linnaeus 1758, the Golden Sea Fan. Indo-Pacific; Red Sea, Australia, Indonesia, Sri Lanka. To about sixteen inches tall. 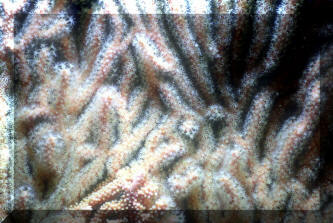 Needs good current, daily feedings, low lighting (no metal halides) for captive care. 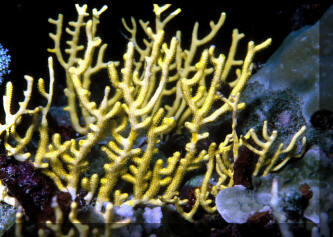 Golden in color when polyps are extended. An open colony off the Whitsunday's, Queensland, Australia.